Some ordinary wispy cloud; some mist in the early stages of rising over Strathearn; and a noctilucent (night-shining) cloud (NLC) display. 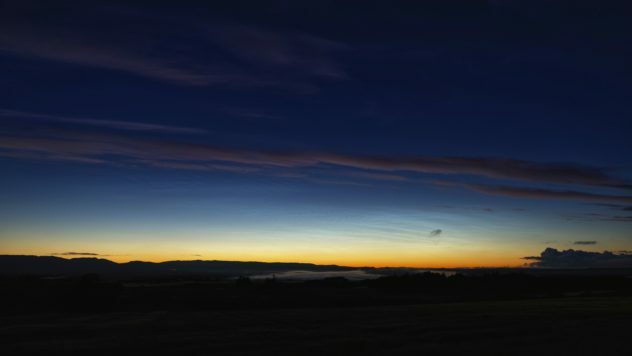 The characteristic ice-cool pale wisps of noctilucent clouds in the distance (at 80km, their altitude far exceeds any other normal cloud up to 12km). 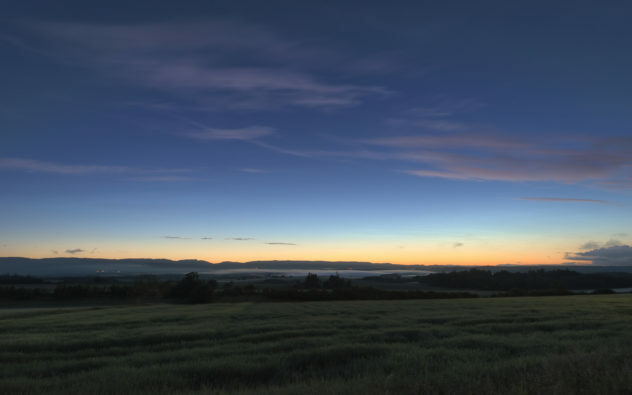 As I watched a low-lying cloud of mist formed over Strathearn and made its way west over Crieff. 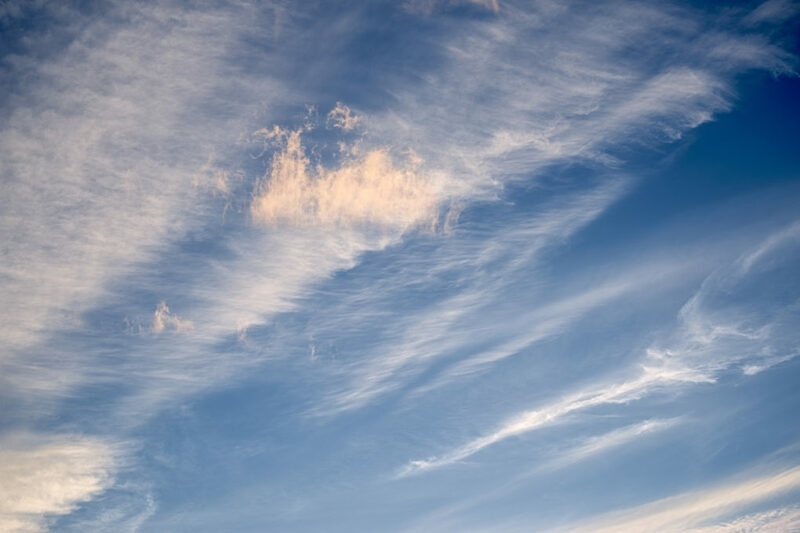 NLCs are the highest-flying clouds, occurring at altitudes up to 80km where the next highest type (cumulonimbus) only reaches 12km and most are lower still. Most typically they resemble a fine silver filigree of ice-cold pale blue, although more complex forms have been seen. First maybe-seen in 1885, they only really came to prominence since the 1980s, as a canary for changes in the upper atmosphere linked to climate change. 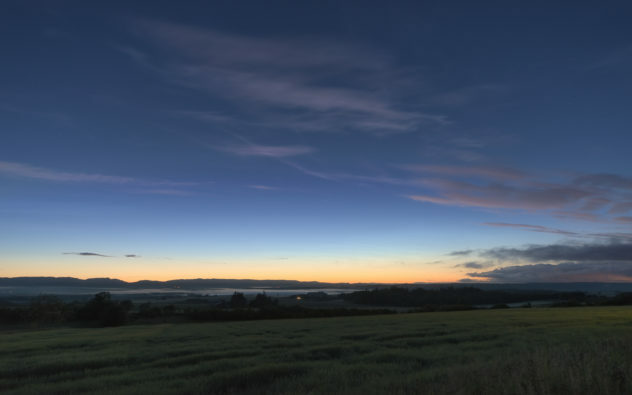 This entry was posted in art, Landscape, nature, night, Perthshire, photos, Scotland, Strathearn and tagged art, climate-change, colour, dust, landscape, motion, movement, nature, night, NLC, noctilucent clouds, Pentax K-1, Perthshire, Scotland, sky, Strathearn, timelapse, twilight, video.